Take a look at these images. They’d be fine at a family picnic or among friends. The purpose of the school trip where the picture was taken was different. The picture should reflect that difference. If these images would be fine representing Darien High School, then we need to rethink Darien High School. If this is how Darien children represent the school, then the rest of us who weren’t there can be expected to wonder how they behaved and, more important, how they were supervised. Please see the 4:28 p.m. update below. The two images below are taken from one picture published by the Darien Public Schools Music Department. We’ve reprinted the text from the same Music Department blog post where the picture came from. The next time you come across a Darien Board of Education member, the superintendent, the high school principal or the head of the Music Department or a music teacher at the high school, please politely give them a piece of your mind, whatever you think about the propriety of this. So some will call us just a fuddy duddy, an old man yelling at kids to get off his lawn, etc., etc., etc. OK. Just note that we’re directing our objection where it belongs: At the high school administration, and indirectly at parents who haven’t taught their kids that this is not the way to present themselves. And don’t tell us that it’s difficult to change this. It simply isn’t. 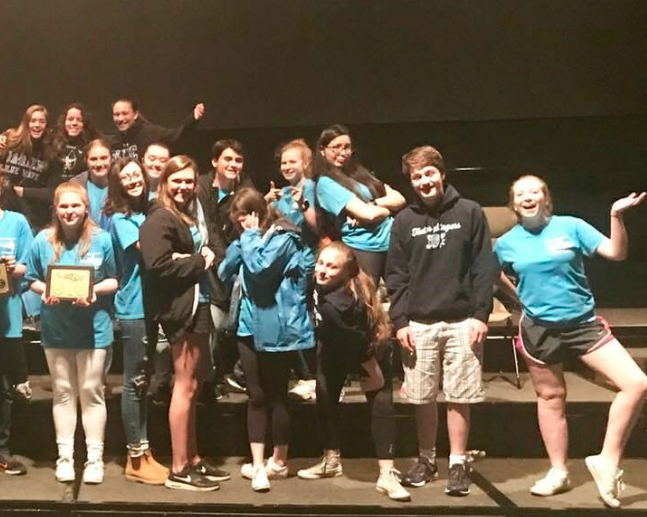 Members of the Darien High School Concert Choir and Tudor Singers pose with their award plaques from the Great East Adjudicated Music Festival held in Springfield, Massachusetts on May 19. 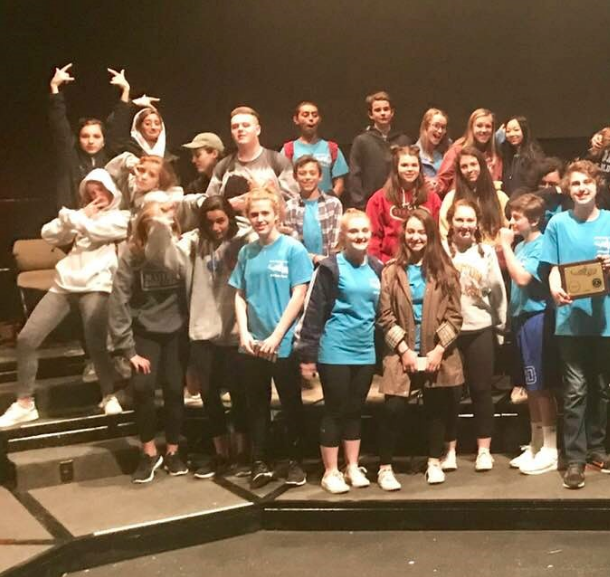 The Concert Choir was awarded a Gold rating, and the Tudor Singers earned a Platinum rating (the highest designation given). Both ensembles are under the direction of Christopher Andrade. And we’ll note that most of the pictures that come from the high school and from the Music Department blog show students not behaving like this, and we never see it from students in the younger grades. And we’re not seeing it from plenty of the students in this picture. That tells you how manageable this is. Since this editorial was posted, we’ve received an email and two phone calls, along with a comment posted below, telling us that the students in the picture were asked for a funny pose. The editorial was directed at school district officials and employees and parents, not the students — but we did, as any sane person would, assume that the kids were acting as kids on their own and weren’t asked to pose in a funny way. One of the callers said she was the parent who took the picture. In and of itself, the picture isn’t the problem. The problem is that it was posted as a representation of the Darien High School group. If it wasn’t the students being disrespectful to their school, band and the organizers of the event, then it was those involved in posting the picture. An explanation on the blog that the kids were asked to pose that way would have changed our objection: It still isn’t an appropriate picture for a public blog representing the school district, but if there are special circumstances like kids being encouraged to act silly, the people posting on the blog have an obligation to everybody to make that clear. Clearly an apology is owed to the students, the school and the organizers of the event. And not by us. The Music Department of the Darien Public Schools is pleased to announce an exciting opportunity for all current third and fourth grade students to be a part of our award winning Darien Band program. — an announcement from the Darien Public Schools Music Department All current third and fourth grade students in the Darien Public Schools who wish to begin learning a band instrument in the fall of this year are invited and encouraged to attend the beginning Band informational evening meeting to be held in the Tokeneke School Common Room at 7 p.m., Thursday, June 7. This presentation will be for interested students and their parents in all five of Darien’s Elementary Schools.